We have our patronage class! Pratt and Whitney AeroPower Rzeszów forms part of the United Technologies Corporation (UTC) incorporating leading companies operating in the aviation and industry sectors. Pratt & Whitney AeroPower Rzeszów is a leader in the field of design, assembly and repairs of APUs (Auxiliary Power Units). The Rzeszów factory was officially registered under the name Hamilton Sundstrand Poland Sp. z o.o. (HSP) on 8 December 2009. Recently, the company has changed its name from Hamilton Sundstrand Poland to the current one. 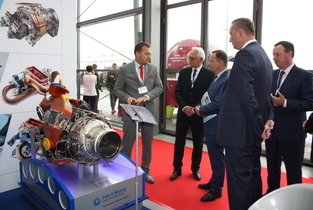 Copyright © Pratt&Whitney AreoPower Rzeszów. All right reserved. 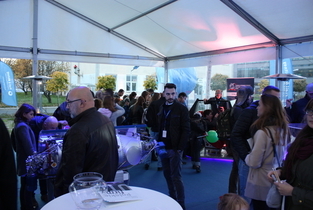 Pratt and Whitney AeroPower Rzeszów forms part of the United Technologies Corporation (UTC) incorporating leading companies operating in the aviation and industry sectors. Pratt & Whitney AeroPower Rzeszów is a leader in the field of design, assembly and repairs of APUs (Auxiliary Power Units). The Rzeszów factory was officially registered under the name Hamilton Sundstrand Poland Sp. z o.o. (HSP) on 8 December 2009. Recently, the company has changed its name from Hamilton Sundstrand Poland to the current one.